10:20pmET: How crazy am I now? When I said weeks ago Marshawn Lynch was going to destroy the Raiders inside because he took over the team and the coach handed him the keys to the organization by smirking as Lynch acted out and acted up. Every week Lynch ratchets it up because he's using the Raiders to build his personal brand and the Raiders are too stupid to realize it...and the fake tough guy coach is going sit there and smile so he doesn't have to address it, because there is nothing he can do. They lose this KC game and this whole organization is going to get flushed top-to-bottom for all this. 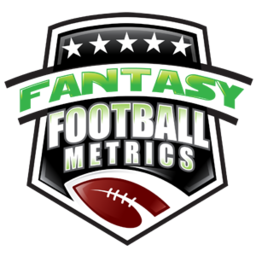 7:33pmET: Week 7 Projections Updated for TNF inactives. Charcandrick West inactive...if Kareem Hunt gets nicked up -- C.J . Spiller...or Tyreek Hill taking a lot of carries?? 11:50amET: Can anyone explain why Leonard Fournette not practicing is such a concern...if he's acknowledged he's playing Sunday? Like missing practice is such a big deal...how ever will Fournette know what to do in this complex Doug Marrone offense? This preseason, he took like 10 or so carries, dominated...took the rest of the preseason off to rest his ankle, wasn't practicing -- then walked into the NFL and is now the best RB in the league (among the active RBs). I'm pretty sure Fournette is fine not to practice. He should never practice. He should just fly in for the games. 11:11amET: Another reason to love the Rams big over Arizona this week...Andre Ellington very questionable this week. Palmer loses his comfortable check down, and has only AP to throw to (who isn't very good in the pass game)...it's another hit. If Patrick Peterson is out for this game, I am going to see everything I own and bet it on the Rams this week. I've already got the kid's college savings on it as it is. — And on cue, Vance Joseph is now discussing getting Jamaal Charles the ball more (which is the kiss of death/3 carries this week)...and coach just had to let everyone know that was his plan all along. It’s always good to tell your opponents what you’re up to. — Sean Lee appears back for Dallas and that’s huge for the Dallas DST play this week and for thwarting Carlos Hyde. Did anyone else find it odd that Navorro Bowman was being discussed heading to Dallas? I think even the Cowboys know they have a Jaylen Smith problem Sean Lee is a quasi-MVP for Dallas. No Sean Lee, no Super Bowl run. He's kinda like Luke Kuechly in that sense. -- All picks ATS posted already (home page, scroll down for Week 7 picks). Also Jason Katz's Week 6 notes posting this morning same place.